TODAY i stepped inside a Wellness Warehouse looking for a common festive-season remedy for depression. The answer I got back from a slightly bewildered assistant came as a bit of a shock. While we all suspected that the new regulations concerning health supplements would contain some surprises, nobody spotted the extant of the crack-down on our right to self-medicate with vitamins. 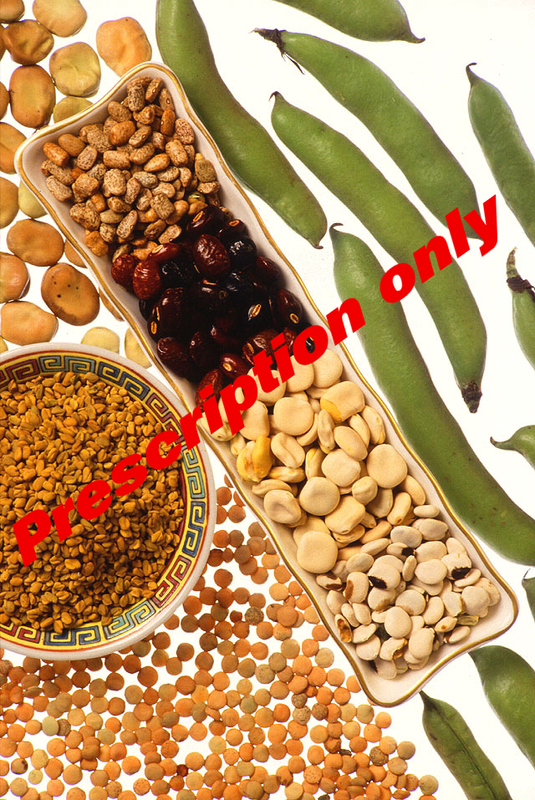 A natural health supplement and common amino acid known by the elegant-sounding formula 5-HTP, and described as “derived from griffonia seed“* a legume similar to the lentil, is no longer on the shelf. 5-Hydroxytryptophan really is a wonderful precursor to serotonin, a metabolic intermediate essential to brain connectivity, but has been apparently rescheduled and is now available only via prescription. Our Minister of Health, in his rush to protect consumers from the supposed dangers of food supplements, life extension, longevity remedies and health aids, appears to have moved the smart food and neutraceutical associated with computer Geeks, titrated from a West African plant and sold for more than twenty years by popular brands such as Solal, from the domain of nutrition, into the domain of drug enforcement, in the process creating an entire new regime of criminality. Henceforth, thinking persons such as myself, who rely occasionally on 5-HTP to modulate brain chemistry naturally will risk being fined for taking health supplements without permission — the supplement does wonders for dealing with ones relatives by making more serotonin available for the connectivity that is needed on such occasions, especially when the multi-tasking associated with difficult lifestyle choices can easily come acropper for lack of a Christmas turkey. What transpired has absolutely gutted me, I feel like an infant suffering from post-traumatic stress syndrome waiting for the Bureau of State Security associated with the Apartheid state to come knocking at my door, once again, searching for illicit vitamins and food supplements. One may assay the Minister’s sense of caution and his demand for peer review, laboratory testing, blind studies and so on as eminently rational, but the measures are draconian to say the least, there is more than enough independent lab testing, published research, and anecdotal evidence, including my own positive experience, to suggest that boosting serotonin in this manner does a lot more good to the body than any perceived harm (no published reports of serious side effects from non-contaminated 5-HTP exist), however, in saying this, the current debate on the impact of elevated peripheral serotonin levels needs some consideration. The long-term effect of too much serotonin on heart valves, is still open to debate on what the correct mitigation remedy would be, and could be as easy as a dose of a simple anti-oxidant formula like Green Tea, complimenting the health supplement and longevity formulation, see this reddit! It is important to remember that we are only beginning to understand the workings of the human body. The longstanding controversy over diary products and the positive (and negative) side-effects of butter on our cardiovascular system should thus serve as a reference point when it comes to self-medication, informed consent and the administering of aminos. So take all this with a pinch of salt, (5HTP won’t give you a heart attack) then examine the psychiatric experiment known as Selective Serotonin Re-uptake Inhibitors (SSRIs), and read the list of problems and side-effects associated with Prozac, only available by prescription from a shrink, and compare them to 5-HTP, which is not dependency causing and less open to abuse and addiction than bottled mineral water. If anything Motsoledi’s rash move has strengthened the hand of Big Pharma and the psychiatric consortium behind the Prozac industry, so much for his claim to have the best interests of the public in mind, this really is all about clamping down on the global health supplement industry and not about consumer health at all. One must also question the rationale behind the withdrawal of common-law rights and freedoms, our government will now monitor 5-HTP users who henceforth have to seek out a prescription from a professional. The move smacks of intolerance to the entire smart foods community. Why all the fuss about Serotonin? I first read about the serotonin brain hack and longevity experiments of Durk Pearson and Sandy Shaw in Mondo 2000. The suggestion back then in the early 90s was that increasing ones intake of Choline Bitartrate along with Vitamin B5/B6 could provide a better health regime than simply resorting to Prozac, which was still a relatively untested and counter-intuitive drug therapy. Inhibiting Serotonin in order to make it more readily available is incredibly disruptive to brain chemistry, one has merely to follow the chemistry inside the brain, as illustrated by Prozac documentaries, to realise the problems associated with SSRIs. The trouble with the Choline brain hack, which unlike Prozac was by no means efficient in crossing the blood brain barrier was that one had to take quite a deal of Choline and B5 to get any health benefits at all. Then along came the solution to the synthesis of serotonin, 5-HTP, already primed by life extension scientists for natural synthesis by the brain into Serotonin and Dopamine. Unless you are missing crucial brain receptors, the therapy works. Brain food is what the supplement is, and there really are no adverse side-effects to my knowledge*, (this is an amino acid not a hormone or steroid), and yet our country’s Minister of Health wants to take us all back in time to the dark days of apartheid. One has merely to recall the apartheid science and the many statements made by the one-time Minister of Public Health D F Malan, that doing anything to the brain without permission of the government, including thinking silly thoughts about black emancipation as Dr Steve Biko did, could get you into serious trouble. People died and fought for our freedom. This is one of the reasons we have a constitution which enshrines cognitive rights and civil liberties, the right to ownership and control of the body, the right to be considered in possession of psychological integrity and freedom of thought. The default when it comes to vitamins and simple amino acids should thus be one of tolerance, openness and individual freedom of choice, a far cry from the fascist paternalism of the current administration, which has now embarked on a regressive authoritarian path, in banishing an extremely useful and innocuous brain food and neutraceutical.